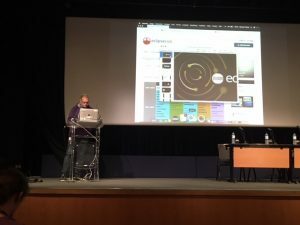 SPLab was present at EclipseCon’18 France which was held on June 13-14 2018 in Toulouse, home of the Airbus Corporation. The hands-on sessions, keynote talks, the demo booth, the people who attended the 2 -day event made it really worthwhile to attend. According to Dr. Piyush Harsh, our senior researcher, who was on the ground, the talk by Simon Phipps – on his vision about the open source movement and how the 3rd-decade would look like, was simply amazing, and would be reason enough to attend if not for the other great talks the organizers had lined up for the 2 day event. 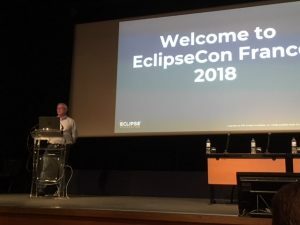 The talks lined up showcasing Eclipse MicroProfile 1.3 and various built in capabilities were very illustrative and hand on in nature. The enthusiasm of the crowd was also very refreshing. 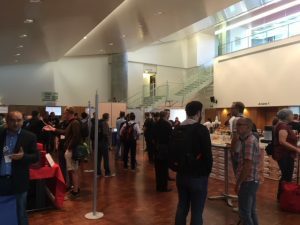 The demonstration booths from vendors such as RedHat, IBM together with various European Projects such as AGILE, AMASS, STAMP etc. showed vibrant developer, user ecosystem around Eclipse foundation supported activities. The talk by IBM on OpenLiberty runtime along with coding sessions were great. Specially, Eclipse Microprofile 1.3 + OpenLiberty runtime seemed to a very realistic alternative to Spring framework and came out as one specifically designed for micro-services development best practices in mind. 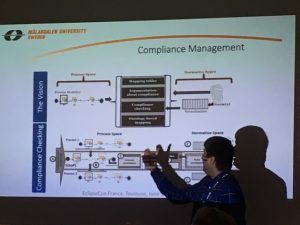 The talk on what may be on the plate for the open source ecosystem and communities by Simon Phipps was extremely fun. His personal anecdotes, his own battles with Richard Stallman, GNU vs FreeBSD licensing, all were extremely riveting. A key takeaway from his talk was about proper attribution and the legal risks the lack of it entails. All together it was a good 2 days spent in Toulouse. I end this post with few more pictures from the event. Enjoy!